I quote the above lines for a purpose, and that is to illustrate the importance of young age in our life. If we use our youth power in a good deed, we can change our world positively. Archery is an in-depth sport which helps us to learn how to focus on the goal by controlling our body and mind. SAS Spirit Jr 54" beginner recurve bow specially designed for youngsters to grow up their archery knowledge with happiness. Southland archery crafted the Spirit Jr for the persons whose body stature is not more than 5’-4’’. It comes with five different draw weights with lower poundage privilege to children and teenagers. They use European and American solid laminations and fiberglass to construct the Spirit Jr which can easily withstand against regular childish uses. Stay with us; we will tell more about this beautiful Spirit Jr beginner recurve bow in our below reviews. To check the latest price you can click here too. 12 lbs.,16 lbs.,18 lbs.,20 lbs.,& 22 lbs. Spirit Jr is the best recurve bow for beginners whose are craving to discover the pleasures of shooting with learning archery. This youth recurve bow crafted with best quality Asian wood: Chuglam, Gmelina Arborea and Beech. This combination of quality logs collected from best Asian trees makes the riser durable and sturdy enough that need by the teenagers. The riser is come up with a pre-drilled condition which allows the setting of any accessories. The configuration of arrow rest, not supplied with, will help novice players to shoot smoothly by avoiding any physical danger of your or your bows. Though the gripper of the riser is comfortable enough to hold with the small hands of juveniles, it allows right-handed archers only. During crafty a bow for young generation its need to consider the arm span, it should not like an adult archer. 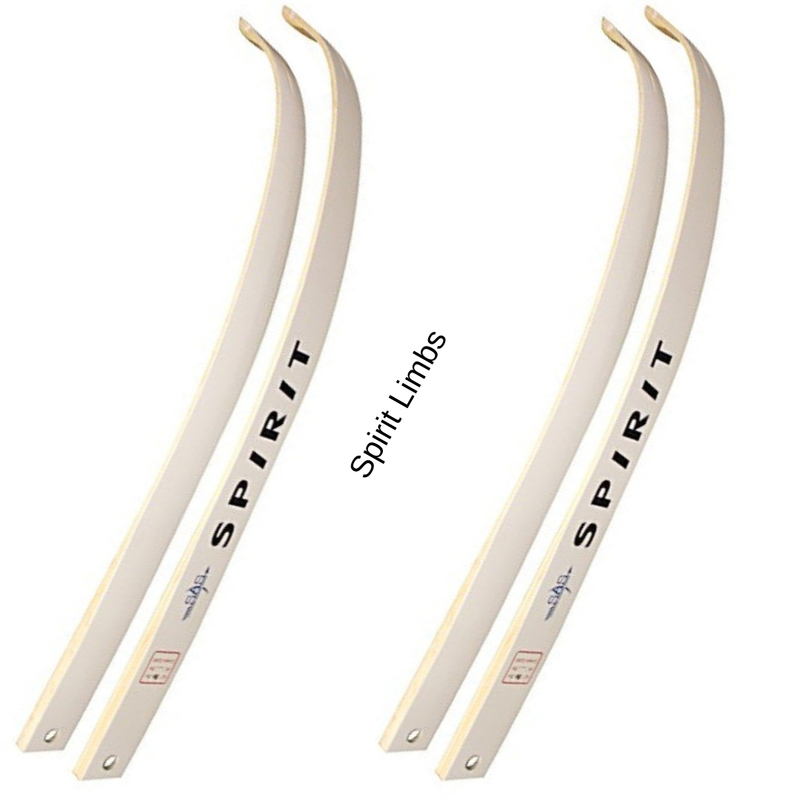 SAS Spirit Jr followed that rules correctly and made its arms compatible for a junior archer. They keep overall bow length not more than 54-inches. Not only that, but they also use strong European fiberglass with Maple lamination to build the limbs. This combination gives it sufficient flexibility and durability that makes it easy to bend but trying to break. The Spirit Jr is a miniature of Spirit takedown 62-inch recurve bow. It follows all other parameters but the length and sizes. To fulfill the need for pre-teen and teenagers, Southland Archery designed five different sizes bow - 12 pounds, 16 pounds, 18 pounds, 20 pounds, and 22 pounds. Though it is the bow for a beginner, not like another beginner bows in the market. As the draw weights and bow length ideal for any minors than the young adults. The attractive pale yellow to cream color finish and small bow length perfect for 5’-4’’ easily draw the attention of any teenagers. Top of that low sizes and durable materials makes it a most popular youth recurve bow. However, lightweight and accurate shooting will assist your child to learn archery as a master and perform in competition. Assemble of this bow is super comfortable due to its lower poundage. However, the manufacturer recommended using stringer to maintain the warranty. The takedown nature will also assist your child to carry it with no trouble when they go somewhere to spend summer vacation or other purposes. Yup! The riser is pre-drilled and comes up with brass bushing for set stabilizer, sights, quiver and whatever you want. However, the sad thing is that it does not include anything in the box, even a string. So, you have to collect all the accessories and parts from the market by spending extra. Q1: What is the draw length? Q2: What size arrows are suitable to shoot by this bow? Ans: Usually the size of the arrows is 1 – 2 inches longer than the maximum size of the bow length. So, first, you should determine your bow length with the help of an expert archer. Q3: What type of arrow rest is the best suit with this bow? Ans: You can set any arrow rest whisker or elementary. However, whisker arrow rest looks little funny than the basic one, though the performance is the same. Solution: Yes, it’s true that there is no instruction manual come with it, but assemble of the product is relatively simple to an experienced being. However, if you don’t have the prior know-how, a quick research on the Internet will help you, or you can take a class from a knowledgeable person. Solution: We noticed it in our earlier discussion. If you consider the price, then you can easily understand why Southland does not add any accessories. However, it is straightforward to find all the necessary accessories in the market or online sites if you spend some additional money. Solution: As the bow specially designed for pre-teen and teenagers, the draw weights are appropriate for them. If you like to pull a heavier one, then you can buy other options of spirit or any other brand like sage. Bear Archery is another great youth bow designed for individual’s age 12 years or up. It is also a great starter bow for pre-teen and teenagers come up with draw weight 22 to 29 pounds and bow length 60 inches. It functions both for left and right handed persons. The limbs of this bow made of composite fiber and riser made of plastic with rubber grip. In spite of small draw weights, the Bear Archery is powerful enough for small hunting game too. So, if you like to buy a bow for your child which is one step ahead, then you can go for Bear Archery Titan Bow. Overall, within just $100, this bow is as expected. There is nothing fancy, but it should be more than satisfactory for the pupil, as long as you ensure you have correctly set it up and you are willing to do the necessary work to learn the art of archery. It might not be enough to take down a deer or an elk, but the foundation target shooter will love the SAS Spirit Jr 54" beginner recurve bow.